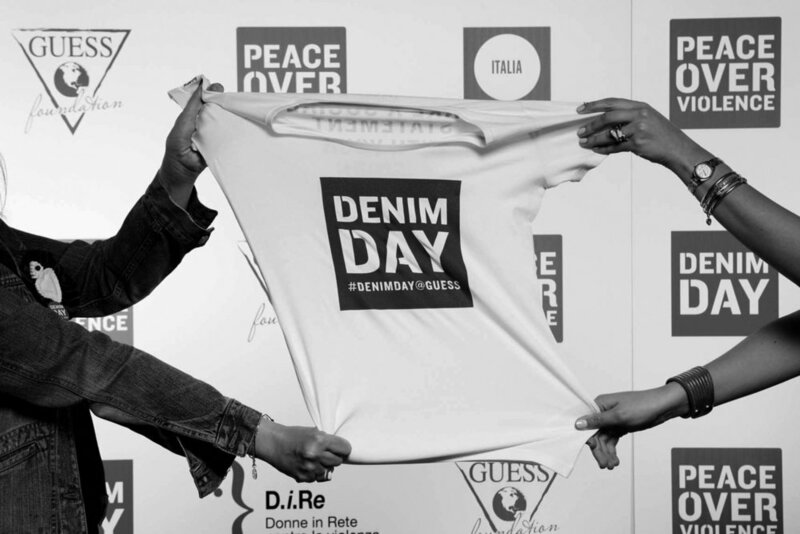 In addition to their support of Peace Over Violence's Denim Day Campaign, the GUESS Foundation Europe brought Denim Day to Italy for the first time on May 29th. With the support of European based organizations, Circle Italia and Di.Re (Donne in Rete contro la violenza), GUESS? took Denim Day to an international level. The European launch took place in Milan with a beautiful cocktail reception and press event organized by GUESS? 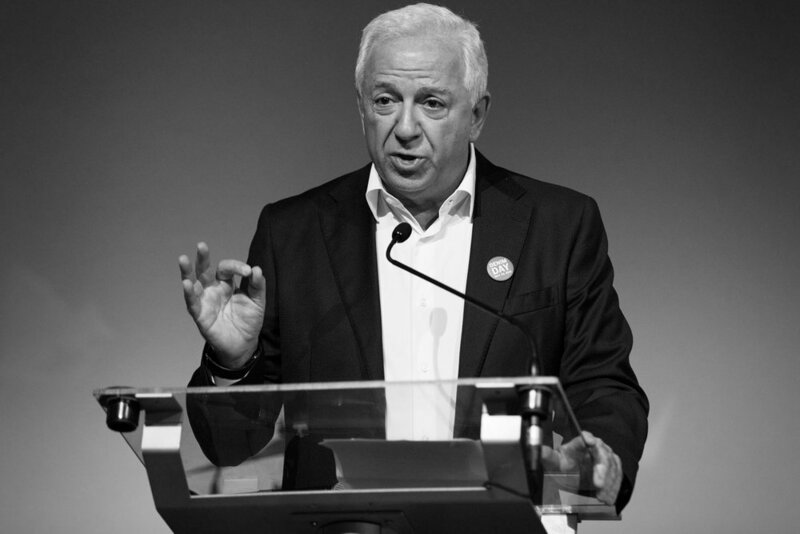 Foundation Europe with the support of The Circle Italia. Established in Great Britain in 2008 by Annie Lennox, The Circle has been active in Italy since 2010 thanks to Antonella Antonelli and Livia Firth. The Circle Italia is a network of women who support projects that address women’s issues around the world. 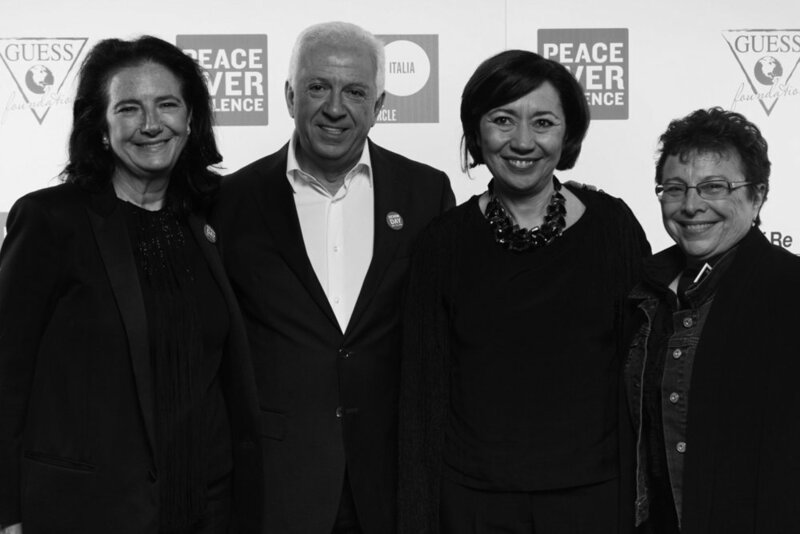 The evening brought together over 400 guests who heard from Paul Marciano, Titti Carrano, president of Women in Di.Re network against violence, Antonella Antonelli, editor of Marie Claire and President of The Circle Italy and our very own Patti Giggans. Denim Day Italy supported Di.Re "Donne in Rete contro la violenza”, the first Italian network of anti-violence and non-institutional centers. Di.Re works to address the issue of violence against women. Today, Di.Re brings together 70 anti-violence centers and shelters, which in 20 years of existence has been an important voice throughout Italy on issues related to violence against women, supporting thousands of people in their journey towards healing and recovery. Denim Day Italia brought in a total of 339,971,453 media impressions!